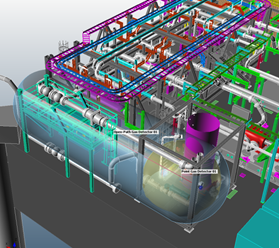 Stylemark Design Services can provide fire and gas detection modelling. 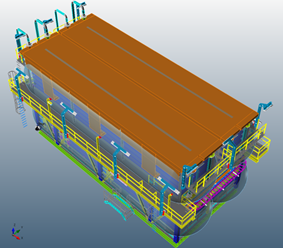 With over 20 years of experience within the Oil & Gas sectors, including extensive Fire & Gas System Design. 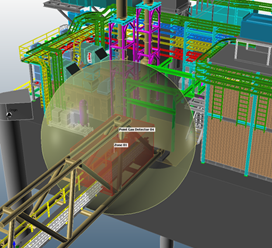 Using Detect3D mapping software, the most precise and reliable 3D fire and gas mapping tool available for the placement of detectors. 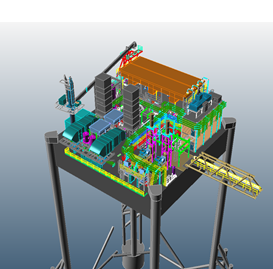 Our computer modelling techniques for fire and gas detection systems can optimise the number and position of detectors for both offshore and onshore installations, as shown by the computer models. Whether line-of-sight flame detectors, Acoustic gas leak detectors, point IR and open-path gas detectors they can be positioned and oriented within any geometry. Positioning detectors within your loaded geometry to reduce blind spots and maximize coverage. 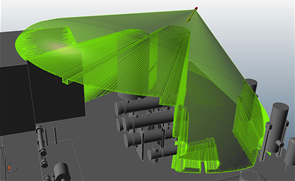 By casting thousands of rays, within seconds Detect3D accounts for ALL obstructions blocking the flame detectors Field Of View (FOV). Copyright © 2005 - 2016 Stylemarks Design Services Ltd. All Rights Reserved.